I photographed Heather’s bridal portraits last weekend. As I am editing her photos, I hate not being able to share any previews because Heather looks so so amazing in her dress! But I realized that I never shared Michael and her engagement photos from this past fall. I met up with Heather and Michael on Main Street for their downtown Columbia engagement photos, and we just had the best time wandering around together! It was nearing the end of the fall at that time, and most of the leaves had already fallen off the trees, so a more urban setting made a great choice for these two. We ended the session with a few photos on the USC Horseshoe, where Heather and Michael had both gone to college. 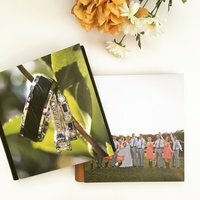 Enjoy a few of my favorites from their engagement photos! It won’t be long now until their wedding at the Member’s Club at Woodcreek this summer, and I couldn’t be more excited for their big day! To view more downtown Columbia engagement photos, click here.